Pictures play an important part in putting together a compelling business presentation, a detailed school report and what not. As much as I like Google’s Docs, Slides and Sheets mobile productivity apps, their non-existent support for adding images to documents directly from an iOS device has been something of a deal breaker for me. But not anymore. 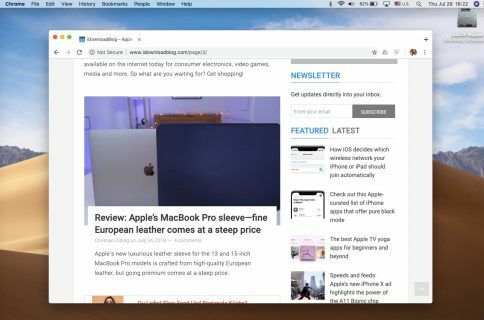 As announced on the official Google Docs blog, users of Google Docs and Slides application can now add images directly from their iPhone or iPad, here’s how. 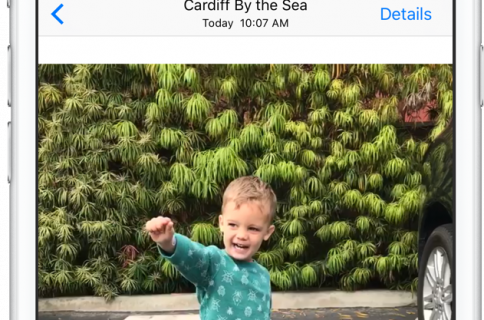 Step 1: To add an image from your iOS Camera roll, or take a new photo on the spot, first tap on the plus icon in the upper right corner of Docs or Slides. Step 2: This will bring up a contextually aware menu, as shown below. Now tap on the new ‘Image’ button. Step 3: You’ll be presented with two choices. Simply decide whether you want to add an image from your Camera roll (‘From Photos’) or quickly snap a photo to add to your document (‘From Camera’). You can also easily crop out the newly added image by double tapping it in Slides, which invokes the crop mode. As illustrated on the screenshot top of post, you will then be available to trim the sides of the image, or tap the mask image icon to crop it into a specific shape. Tip: This feature is only available in Google Slides. 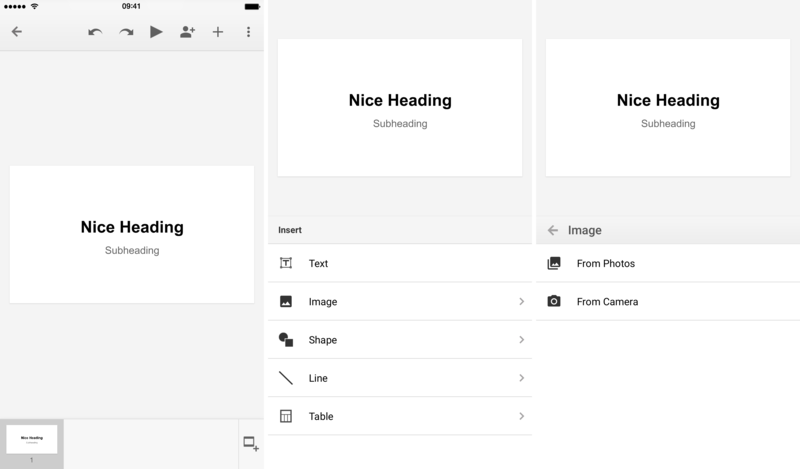 As an added bonus, Google Slides has gained the much appreciated ability to insert and edit tables on the go. Keep in mind that Google Sheets lacks the new image picker because the spreadsheet application doesn’t support images in cells to begin with. Speaking of updates, two popular Google products have received updates in the App Store, too. Google’s main iOS search app, now sitting at version 5.4, has gained colorful new search results for movies, books, famous people and photos. And, Google Maps 4.6 is now available with improvements to make “directions to home” and “directions to work” searches more reliable and the ability to share your best photos at places using the improved photo uploader. 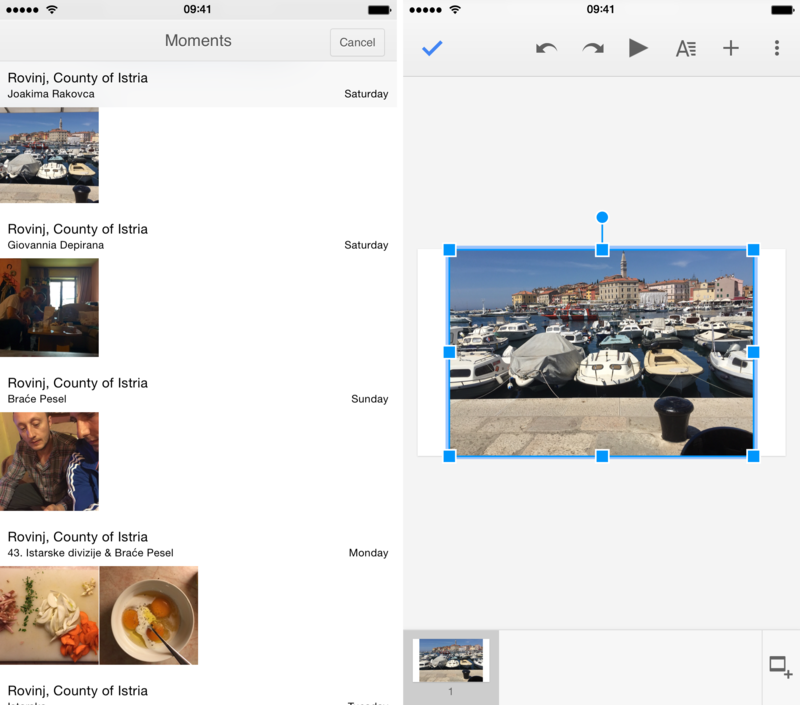 Grab Google Docs, Slides and Sheets for free in the App Store.